There are so many titles Pune has been gifted with at the time as the city of Peshwas, Queen of Deccan, the cultural capital of Maharashtra, etc. Pune has a famous and prosperous history, and now it counts among the major metro cities of India. People are looking to come to Pune for many reasons, some for just visiting and some for settling. People who came from different places and are working in Pune are looking to settle down due to the charm of this city. 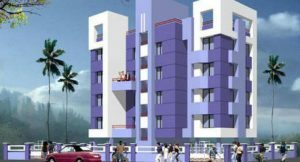 Looking to invest in new residential projects in Pune for investment or living is a major move financially and emotionally. Before you invest a gigantic part of your savings in residential property that looks attractive or which looks it’s going to boom in the next 2-3 years. So be careful about your investment. Buying a house is a one-time decision for many people. It’s the time when you are excited, frazzled, confused and above all in a hurry! You look at some houses and one of them give you that feeling of “that’s the dream home”. You get fond of it, something special about it and every other aspect look good to you. On top of it, you feel you want to get it as soon as possible and get into the process of gathering booking money, down-payment and getting the home loan. Check whether the property has cleared of all legal issues – Before investing in a project make sure that the property has been given clear “nonagricultural” title. You must check the legal history of this land – it should not still hold the rights and interests of any third party that could come into light after you have invested in the property. Always check out the ownership of land papers. It will save you a lot of trouble in any case of a dispute. Know your rights for delays in the project – You must know the rights of delay in construction and other obstacles that may come into play after you have invested. You don’t want to see the project going nowhere when you had already invested in it two years ago. Invest in a residential project where a start date and an end date for construction is given. If possible, maintain a connection with others purchasers so that in cases of emergency, you will get the news of any trouble going with it. You might have a lot of trust in your builder that he would never do this. But don’t get surprised if the government comes to the door of your dream home asking you to evacuate it because it has been built on land that was only reserved for government projects. Make it sure that the piece of land which is proposed for your residential project is cleared. With the history of many kinds of controversies in the real estate industry within the past 5-10 years, it is most important that you maintain safety for your interests first. But besides all this, there are many new residential projects in Pune available for you to invest in and get your dream home.